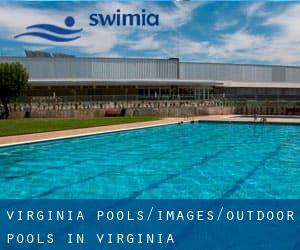 Thanks to some new Outdoor Pools in Virginia submitted daily, Swimia.com is increasing day-to-day the number of stored pools. Please don't hesitate to make contact with us if you get any inaccurate or incomplete information. Please check the nearest Pools or Contact us to ADD IT. It is totally free! The best pools to swim are certainly indoor olympic pools. There are frequently discounts available to senior citizen and modest kids. Find out by contacting your nearest pool in Virginia. Swimming is actually a sport for all ages. It helps young individuals to tone their muscles and grow wholesome and robust. Are you a normal swimmer? 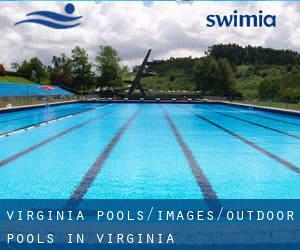 Do you visit the identical Outdoor Pools in Virginia? Please check that all the information for your aquatic center are correct and make contact with us if you locate any mistake. Let us tell you a secret to switch off while you're in Norfolk: just select a Swimming Pool in Norfolk and plunge into the water! There's no even more effective system. Swimming is actually a excellent concept to keep your body active throughout your visit to Arlington (Virginia), or even if you are a local. Swimia assists you to find your closest Swimming Pool in Arlington. It's hard to visit Virginia without having dropping by Chesapeake (with 222.209 residents). Presently Swimia is showing you all the Swimming Pool in Chesapeake and the closest pools located in its vicinity. 6800 Deer Run Drive , Midlothian , VA , USA (Postal Code: 23112). Swimmers like you reported 25 yards, 6 lanes, Indoor/Outdoor. Unfortunately we do not have the email address of this Swimming Pool, but we can give you the phone number. 830 Poquoson Ave. , Poquoson , VA , USA (Postal Code: 23662). Swimmers like you reported 25 meters, 6 lanes, Indoor/Outdoor. Phone number and e-mail address are number for this Swimming Pool. 9111 Burkwood Club Dr. , Mechanicsville , VA , USA (Postal Code: 23116). Few days ago a regular user of this center told us they offer 25 meters, 8 lanes, Indoor/Outdoor. Furthermore, they keep in good conditions 25 yards, 8 lanes, Indoors. For this Swimming Pool, only phone number is number here. 305 South Dogwood Drive , Harrisonburg , VA , USA (Postal Code: 22801). This sports center provides 25 yards x 54 feet, 3.5 - 12.5 feet depth, Indoor/Outdoor. Contact info for this Swimming Pool such as phone number and e-mail address are number. 2269 Mann Road , Powhatan , VA , USA (Postal Code: 23139). Among all the activities offered by the center, for anyone who is considering swimming you will take pleasure in 25 meters, 6 lanes, Indoor/Outdoor. Just in case you need to contact this Pool just before dropping by, we only know the phone number. 11621 Robious Rd. , Midlothian , VA , USA (Postal Code: 23113). Swimmers like you have reported Olympic size, 8 lanes, Indoors. Also, you will find 25 yards, 6 lanes, Outdoors. Just in case you would like to make contact with this Swimming Pool before dropping by, we only know the phone number. 1800 Dickinson Road , Goochland , VA , USA (Postal Code: 23063). This sports center provides 25 meters, 6 lanes, Indoor/Outdoor. For this Swimming Pool, only phone number is number here.